Workplaces and working styles are more diversified than they have ever been. In response to this, Focused Work Table was born. 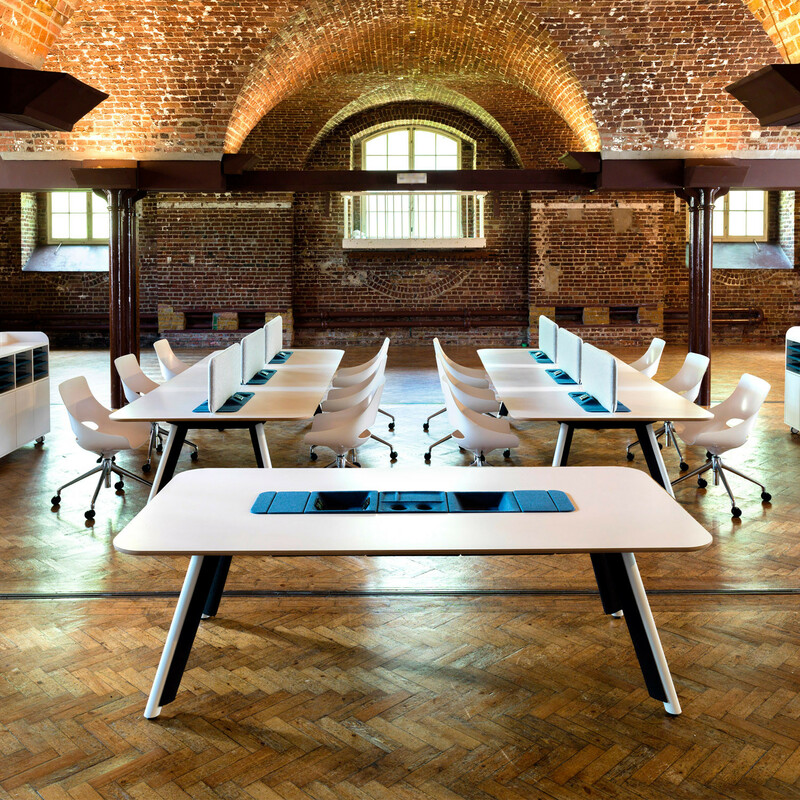 Focused is a flexible office table designed to meet task-driven activities as well as forming an ideal solution for meetings and hotdesking. 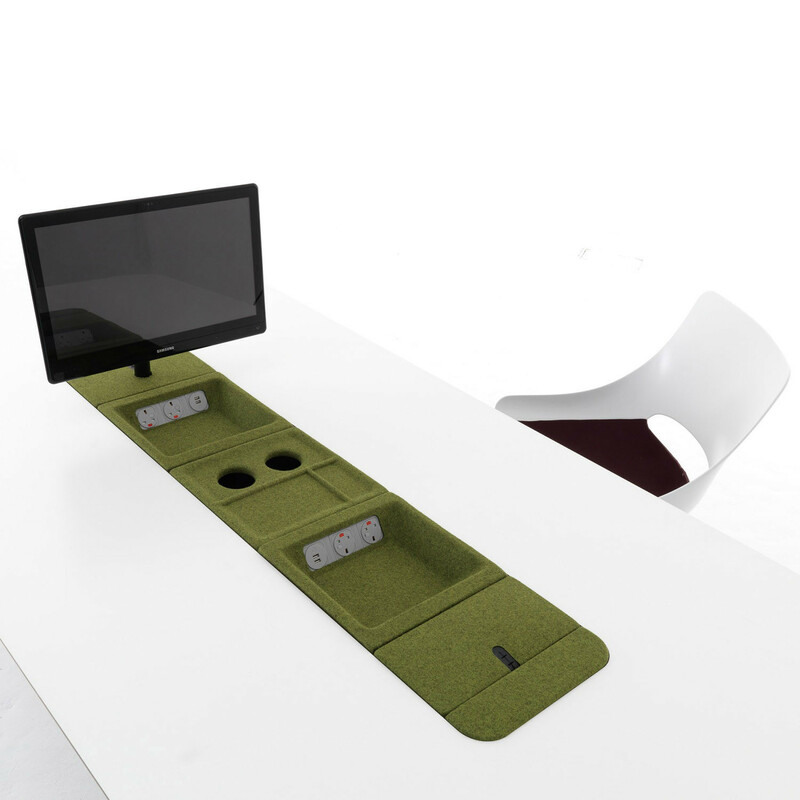 Focused Work Table was designed and engineered to match the principles of automotive design. 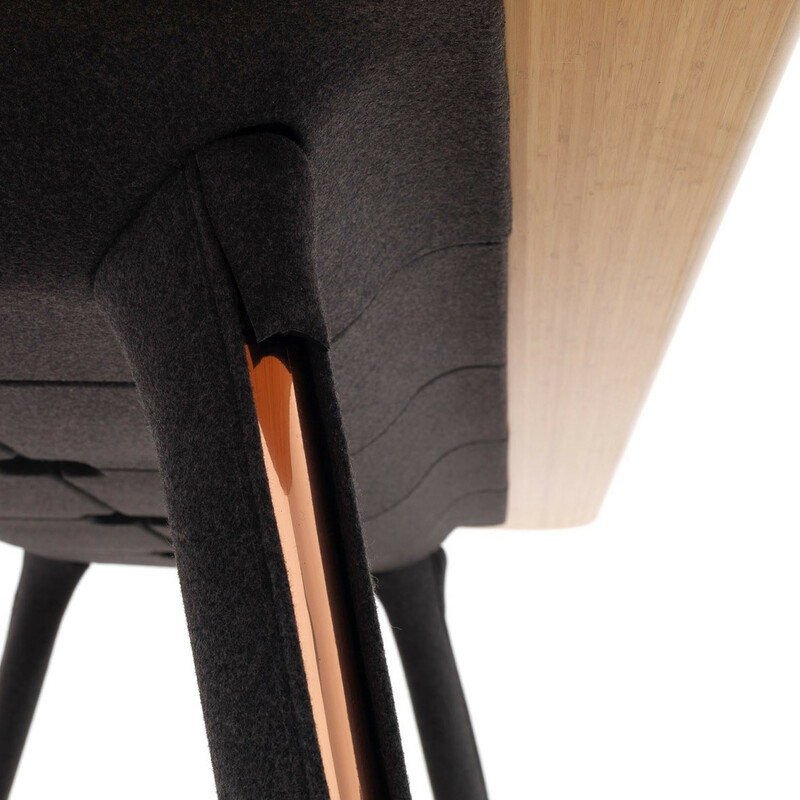 The super strong chassis, simple in its construction is covered by tactile panels that conceal the frame and incorporate cable management down the legs of the table. 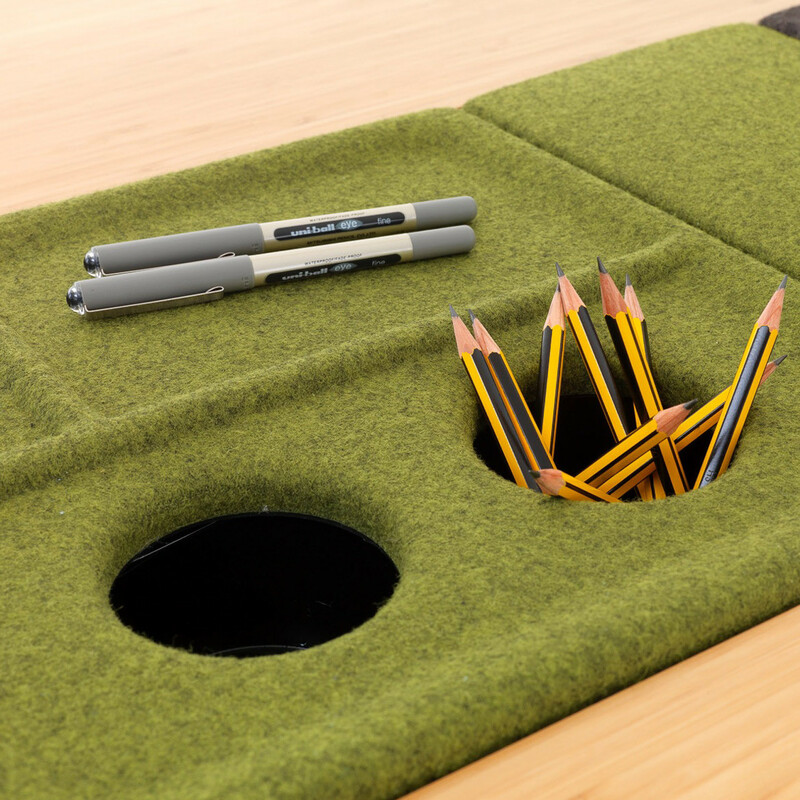 The shroud and trays have been manufactured using 100% recycled plastics. 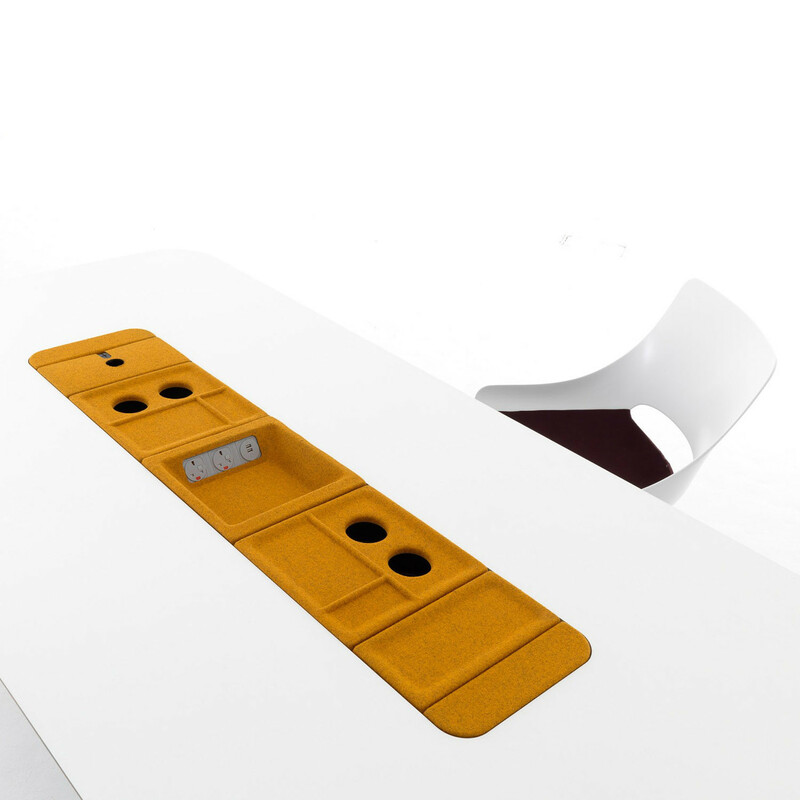 The cable management leg covers and undercarriage simply clip into place allowing access to the frame from every angle. The range of accessory trays can be easily swapped in and out, allowing the user to configure the Focused Work Table to suit whatever task is required at a moment’s notice. 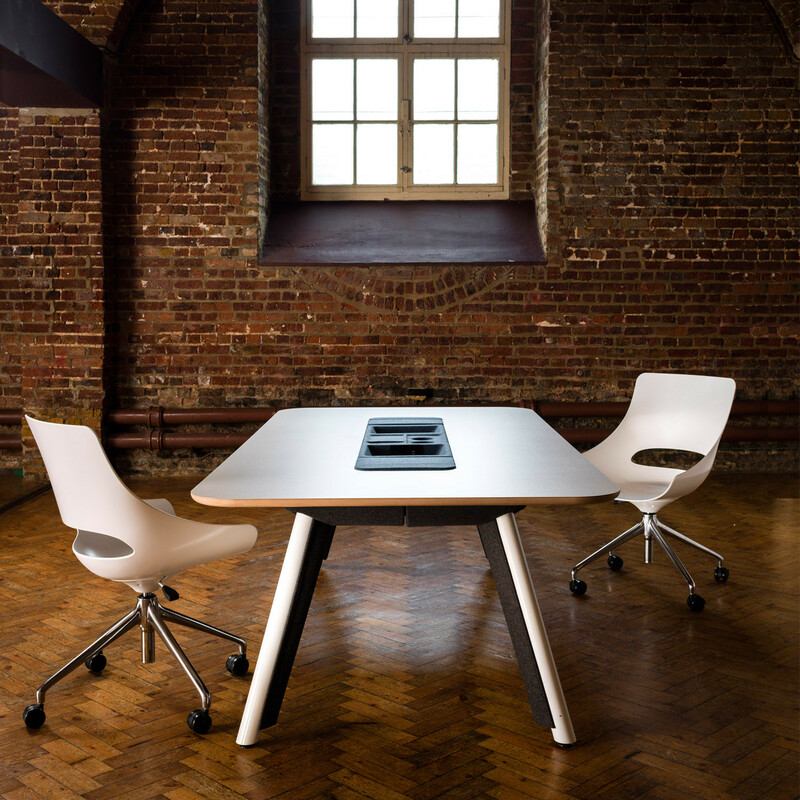 When the trays are not required, a matching or contrasting infill piece can turn the table back into a sophisticated boardroom style meeting table. 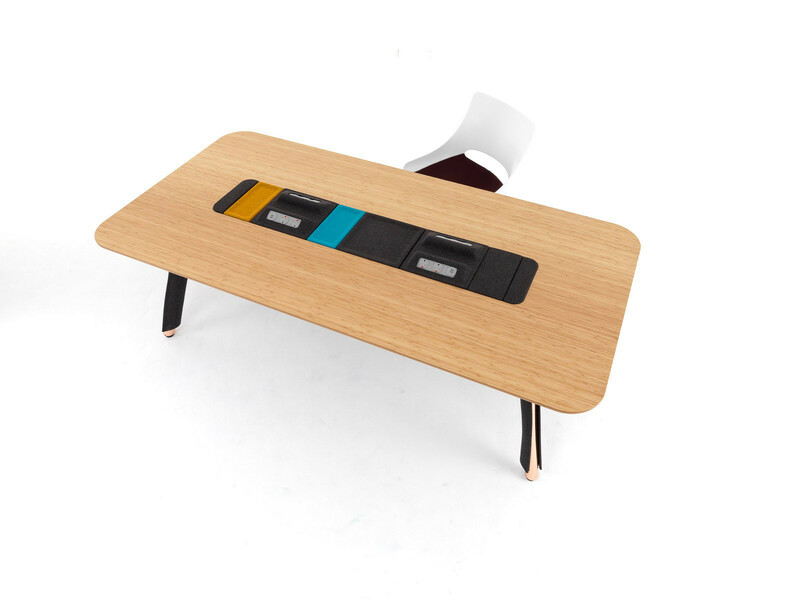 With the modern office in mind, Focused Work Table comes with the option of USB data points and plug sockets for media such as laptops and tablets. View more furniture by ThinkingWorks. 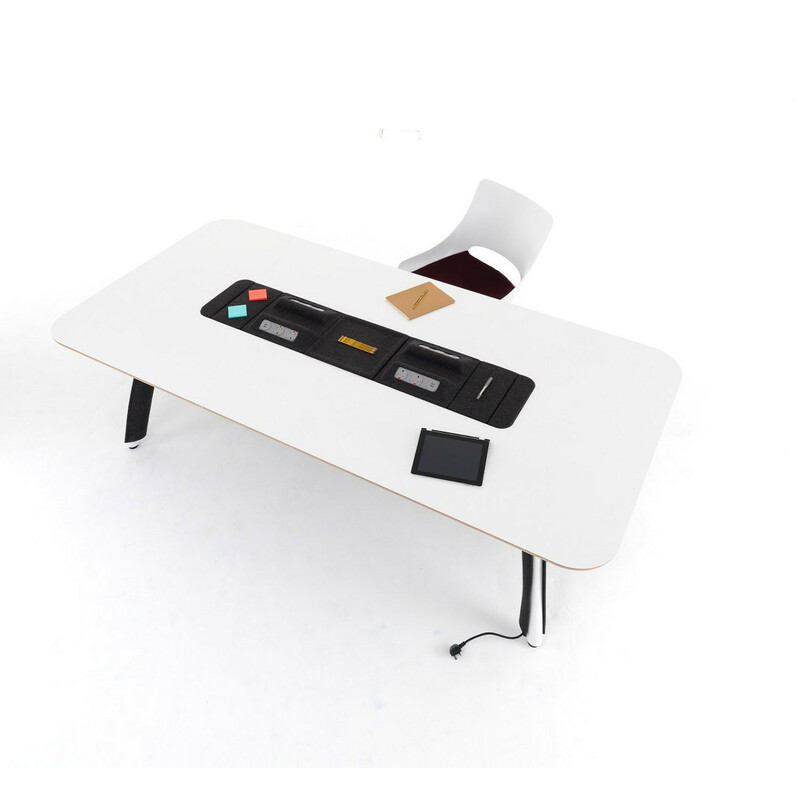 You are requesting a price for the "Focused Work Table"
To create a new project and add "Focused Work Table" to it please click the button below. 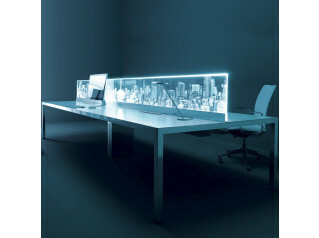 To add "Focused Work Table" to an existing project please select below.